Everyday we use mouse to naviagte in our computer. Ever thought how does it work? Here it is for you. Developed by Agilent Technologies and introduced to the world in late 1999, the optical mouse actually uses a tiny camera to take 1,500 pictures every second. 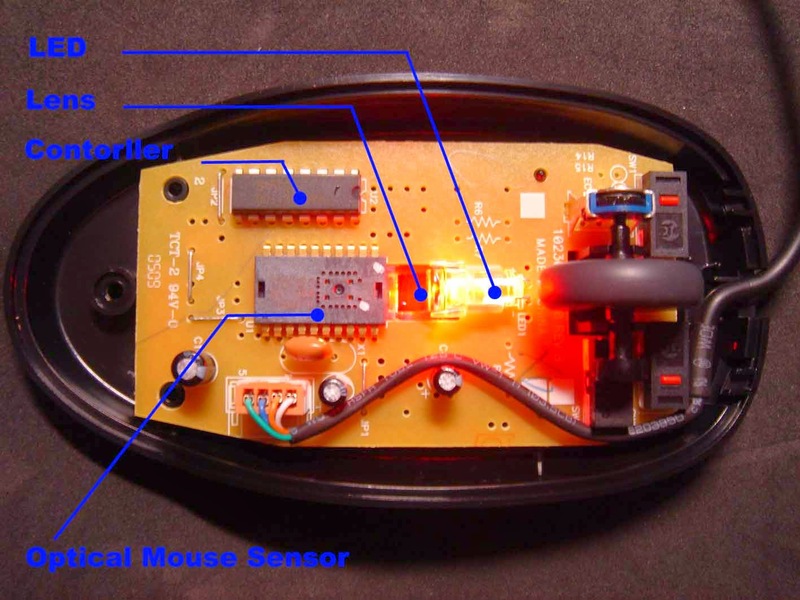 Able to work on almost any surface, the mouse has a small, red light-emitting diode (LED) that bounces light off that surface onto a complementary metal-oxide semiconductor (CMOS) sensor. The CMOS sensor sends each image to a digital signal processor (DSP) for analysis. The DSP, operating at 18 MIPS (million instructions per second), is able to detect patterns in the images and see how those patterns have moved since the previous image. Based on the change in patterns over a sequence of images, the DSP determines how far the mouse has moved and sends the corresponding coordinates to the computer. The computer moves the cursor on the screen based on the coordinates received from the mouse. This happens hundreds of times each second, making the cursor appear to move very smoothly. No moving parts means less wear and a lower chance of failure. There's no way for dirt to get inside the mouse and interfere with the tracking sensors. Increased tracking resolution means smoother response. They don't require a special surface, such as a mouse pad. 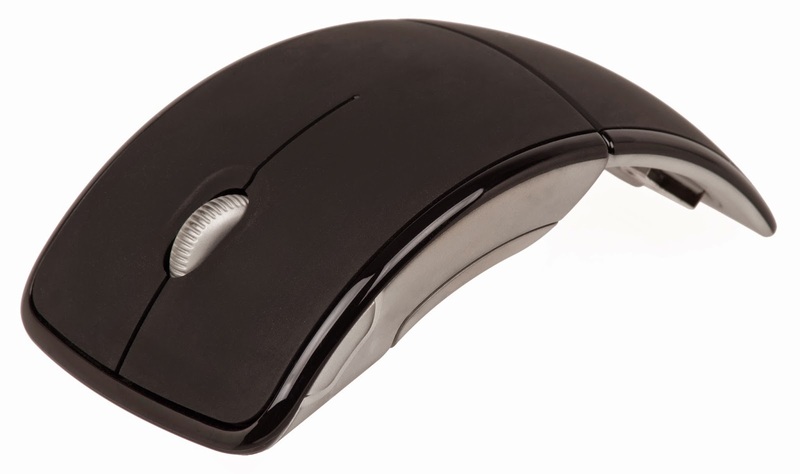 ­ Although LED-based optical mice are fairly recent, another type of optical mouse has been around for over a decade. The original optical-mouse technology bounced a focused beam of light off a highly-reflective mouse pad onto a sensor. The mouse pad had a grid of dark lines. Each time the mouse was moved, the beam of light was interrupted by the grid. Whenever the light was interrupted, the sensor sent a signal to the computer and the cursor moved a corresponding amount. This kind of optical mouse was difficult to use, requiring that you hold it at precisely the right angle to ensure that the light beam and sensor aligned. Also, damage to or loss of the mouse pad rendered the mouse useless until a replacement pad was purchased. Today's LED-based optical mice are far more user-friendly and reliable.Credits for Howstuffworks people for breaking it down. Please Comment if you think it helped.